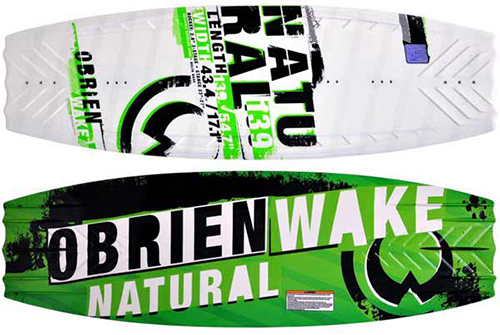 The board that started O'Brien's DELTA base revolution! The Natural's full profile and wide tips are ideally suited to the rider who prefers a slightly tailheavy approach to the wake, where the blended 3stage rocker kicks the tail into the wake, generating vertical pop. The variable beveled edge and quad molded fins provide secure edging even when not using the optional center fin. One ride is all it takes.